Espey has specialized in Integrated Manufacturing Services (IMS) of Power Electronics Design and Engineering for the Defense, Aerospace and Industrial markets for more than 85 years. We provide vertical manufacturing services for Sheet Metal fabrication and Box Builds, Circuit Card Assembly (CCA), Printed Circuit Board Assembly (PCBA), Configure to Order, Obsolescence Mitigation, Engineering Services, Supply Chain Management, and Comprehensive Testing. 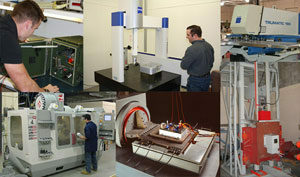 Espey offers complete vertically integrated capabilities for a broad range of power solutions including Contract Manufacturing, Custom Engineering, Prototyping, Support Equipment, Testing and Quality Control.